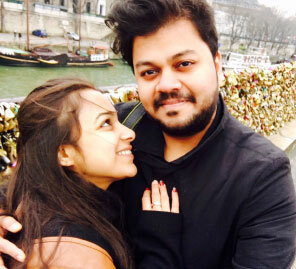 Sonia and Naveet chose paradise, the jeweled archipelago that is the Seychelles to spend their magical honeymoon in. 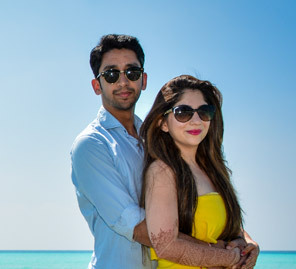 After a beautiful wedding in Delhi, lovebirds Sonia and Naveet travelled to the islands of the Seychelles where the light turns the colors electric and the tropical sun, sea and sand are always at play. We met through common family friends and our first meeting was quite typical of arranged marriage ones. There were awkward silences until we realized we had common interests. Over time, we had to admit that we had a special bond. In some ways, it was like destiny played its part and we just had to agree to embrace this decision forever. We had several options on the table: Australia, New Zealand, Bali, Maldives and Bora Bora. We finally decided on Seychelles because we wanted to enjoy the weather on our honeymoon. Seychelles is a tropical wonderland with a warm, pleasant climate all year around. We needed a break from the chilly Delhi winter and so planned trips to Mahe, Praslin and La Digue in January, after the wedding. We stayed at the Kempinski Seychelles Resort Baie Lazare. It was the perfect hotel for us. It’s very accessible from the international airport and also right in the heart of all the main sight-seeing activities in the Seychelles. The Hill View and Sea View suites are special – they offer breathtaking views of the Indian Ocean and also they’re very private for couples who want to spend some quality time with one another. The Windsong beach restaurant, a part of Keminski hotel, is great to enjoy gentle ocean breeze while you tuck into some decadent food. It offers some delicious local pizzas, grills, pasta and summer coolers. Our most romantic moments on the honeymoon were those spent on the secluded beach of La Digue. The island has a population of just 3000 and is one of Seychelles’ cleanest. We did fun stuff like bike riding, scuba diving, snorkeling and just lay in the sun on the beach, together. All these new experiences and places, discovering things together, brought us closer. Carry lots of sunscreen with you and invest in good quality swimwear. The Seychelles is a chilled out, calm place and you will get the best chance to discover each other so don’t go looking for a roaring nightlife. .Carry mosquito repellent as a precautionary measure on the beach. The reef safari, feeding the fishes and looking down into the clear sea through a glass bottom boat are priceless experiences. Snorkeling, kayaking and scuba diving are activities that cannot be missed either. Seychelles is home to numerous beautiful beaches, so finalize the ones you want to discover and stick to them. Experience and discover places together by hiring a cab service rather than going on a group tour. 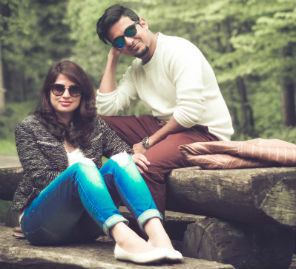 For more Honeymoon planning and ideas from Real Couples click here. 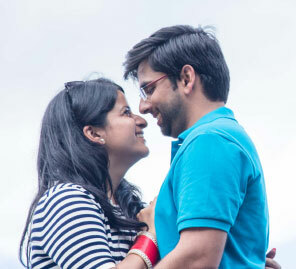 To hire a travel planner for your honeymoon click here.